Whether Sunday's sunshine whetted your appetite for more, or you never want to hear the words "polar vortex" again, surely we can all agree: At this time of year, we'd rather put the winter coats away and let our lighter layers come out to play. 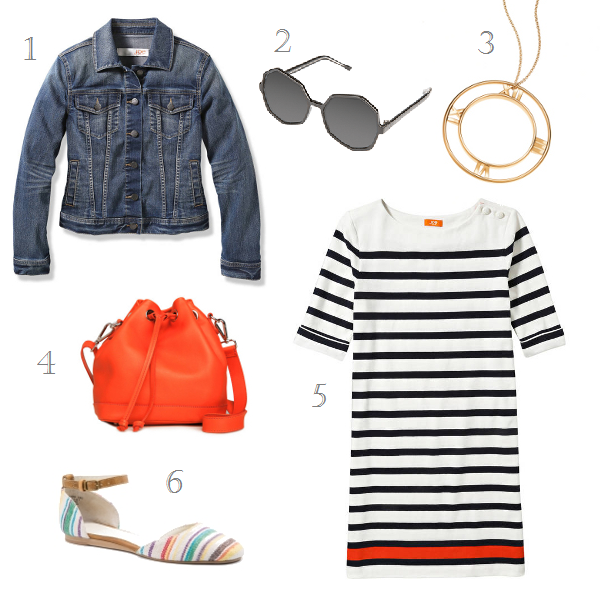 Stripes, denim, and bright pops of colour are effortlessly parfait for picnics in the park or coffee with friends. For finishing touches, add a pair of oversize shades and a luxe pendant. Same here! They're definitely having a moment. That stripy dress is lovely, great styling!